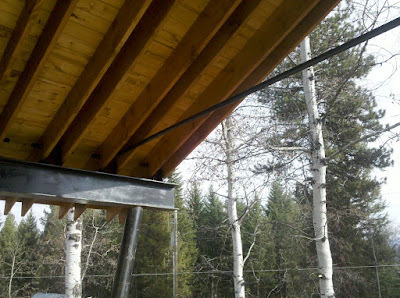 We completed the roof decking on the Ski Shack this last weekend! The shorter days have proven to be more difficult to get a lot of work done. With winter on its way I was relieved to apply the grace ice and water shield so that the building will be more protected from the elements. 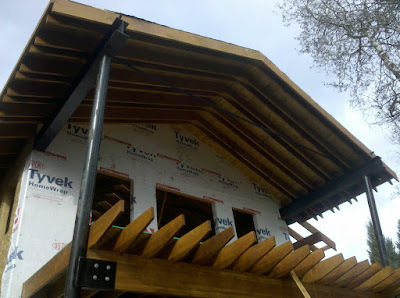 We have a small section of roof to complete over the stairs and then we will start to build the carport. 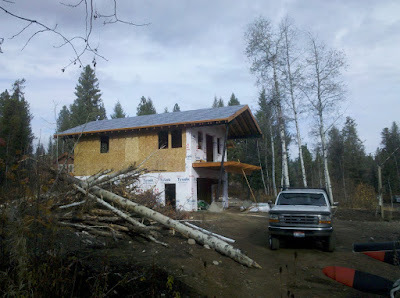 All the hard work and attention to detail renovating this older ranch style home has paid off! 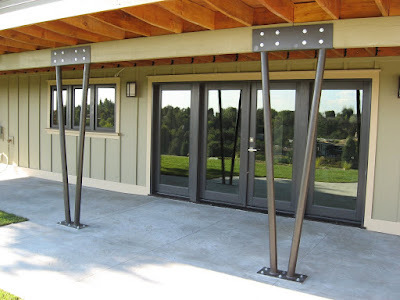 By building double exterior walls, using energy efficient windows & doors, building materials, finishes, insulation, heating & cooling systems, water conscious plumbing fixtures, and water conscious landscaping we have made the building much more energy efficient. 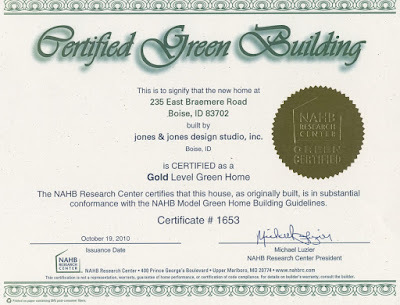 We received a NAHB rating for the residence at 235 East Braemere of GOLD! This is the highest rating offered by the National Association of Home Builders for Green Building. Congratulations & thanks to all of our suppliers, subcontractors, and verifiers who worked together to make this possible! 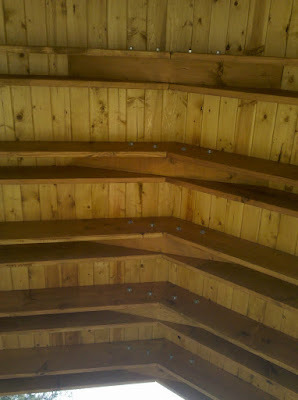 Most of all, thanks to our Clients for having the insight & good conscious to pursue a more “green” lifestyle. Our Clients can now enjoy the benefits of a home that is more comfortable, energy efficient, and will have less of an impact on our environment throughout the life-cycle of the building.